There are lot of misconceptions about Yoga. It is primarily thought to be physical practices or some alternate therapy. It is neither of these. Yoga is a highly evolved spiritual science or philosophy which is part of the vedic religions and systems. It is a practical road to attaining perfect knowledge in this life itself. Perfect stillness and complete concentration of the mind without any thoughts is one of the key meanings of Yoga. Yoga has been put forth by Rishis who experienced true reality and put it forward without any motivation of any kind. The mind and the bodies of these Rishis were their personal laboratories where they experimented and perfected themselves. Therefore, it is has been found to be so very useful on all fronts. Yoga is not possible without personal conduct and managing the self. In fact no amount of physical practices can bring about a change unless personal conduct is put in order. These are in the form of the five yamas and five niyamas. The five yamas are non-violence, truthfulness, non-stealing, control on the senses and non-accumulation (or non-greed). The five niyamas are physical and mental hygiene and cleanliness, contentment, perseverance, constant learning and self improvement, not worrying about results and surrendering to a higher reality. There are four pillars of Yoga which are essential for any meaningful improvement or progress, whether physical, mental or spiritual. These are correct food (what to eat, how to eat, how much, to eat, when to eat), rest and recreation, routines and discipline and lastly, thought processes. There are very specific inputs, methods, practices and activities for each of these. We only need to follow them. The root cause of all problems is the mind and the personality complex. Managing this and reducing the activities of the mind are the main focus area. This entire approach is sometimes presented as Yoga psychology. Various researchers and psychiatrists across the World are adopting this as it is complete in its approach. Of course, many a times, the sources are not given and the concepts are plagiarized and presented as their own. However, this is not a separate discipline at all. The human is an integral entity and mind and body cannot be separated. Therefore, Yoga is completely holistic in its approach. Since we are all born in this world and have to function here, there is a very strong emphasis in Yoga on how to interact with the world and with others. The idea is to operate in an optimal fashion and in the correct way. There are many practical paths and processes available in Yoga to lead a fruitful life with enriching interpersonal interactions. Yoga fully recognizes and accepts the fact that every individual is completely different in all respects. There is no individual who can ever have any aspect which is the same as any other human whether past, present or future. Due to this, there are different approaches to Yoga which are applicable not only for different individuals but also which fit in different situations. The physical aspects of Yoga we see today are only one really tiny part of Yoga philosophy. But this is extremely important as we are all getting sedentary. So practicing asanas has many benefits on the physical and physiological fronts. What very few people know is that asanas help to train and calm the mind. Over a period of time, the mind becomes relaxed and controlled. However, most of us do not know this nor do we pay attention to the mind when we practice asanas. But this is an integral part of Yoga. To summarize, there are a lot of things to do if we are talking about Yoga. However, the easiest place to start is with asanas. 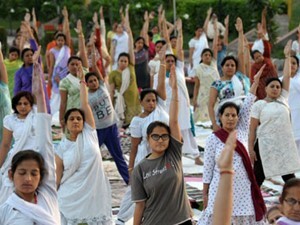 It is therefore important to find out yoga programs which are keeping with the spirit of true Yoga. You can make a beginning with online yoga classes from wellzee.